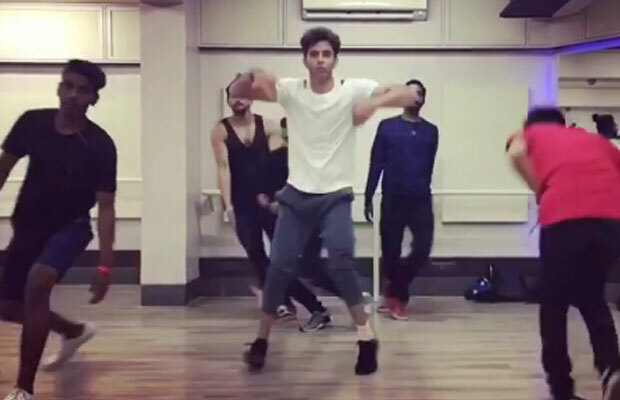 Hrithik Roshan’s Jaw Dropping Moves For His HRX Video Will Make Your Day! Hrithik Roshan’s HRX video was recently released and one cannot stop watching it over and over again! Infact the actor also gave us a sneak peak into the rehearsals of the dance sequence that we only get to see for barely few seconds in the video and its certainly jaw dropping. Hrithik is seen sweating it out with other dancers in the rehearsal and wanted to nail the sequence irrespective the length it was featured in the final video! This rehearsal video is part of video which Hrithik had released sometime back, which is about moments when our limits as a human being are tested and we are on the verge of giving up. It tells you to Keep Going in order to become the best version of yourself. It happens to be that the inspiration of this video is taken from Hrithik’s own life when each time he has risen above obstacles by pushing himself. Previous articleBox Office: Vidya Balan Starrer Begum Jaan First Day Collection! Next articleSushant Singh Rajput’s Shocking Transformation Of 8 Pack Abs Will Amaze You!